In addition, there were national elections and the new President was able and determined to achieve gender parity in his appointments in this Third World Republic. It is also probable that gay marriage will be legal by next year at this time. They are doing much better in many ways than is the area known as the First World. Now I have returned to the non-United States of America to find them just a little more united. Yet, in a certain way, nothing has changed. Just as it was said that a Black man had to clean up the mess left by George W. Bush, a White man, and considered the worst and most ignorant president until the current time, now it is becoming clear that the women of the country are in the process of cleaning up the mess made by an even more ignorant and unprepared president probably not even elected by the American voter, one Donald Trump. Donald Trump addressing the Congress | Photo from Wall Street International. While the walls are closing in on all the corruption of his administration and his prior fraudulent activity as a well-known con artist, the genuine American voters, without Russian hacking I assume, have elected a majority to the House of Representatives and that majority is a majority of women. The spectacle of them all in dressed in white and the face of Nancy Pelosi sitting behind him were a pleasure to view without even the predictable words. Nancy Pelosi is one of the most experienced, clever and wise women in our government, as she has shown so many times. I am sure that she is mentoring the new members in a way that will pass the torch to them when her time is over. These are the women who may save our lives. Nancy Pelosi clapping back at Trump’s statement | Photo from Wall Street International. 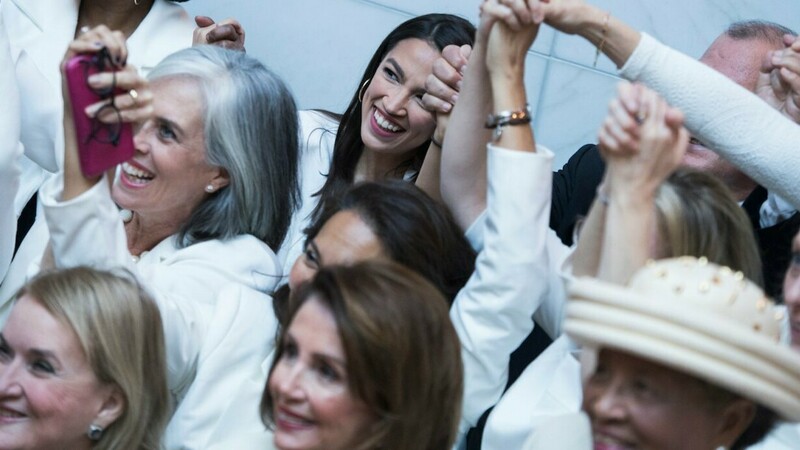 The Democratic women of Congress wearing white | Photo from Wall Street International. I returned to freezing temperatures in California and saw the same photos everyone saw of photos of Chicago and the American Midwest that most of us have seen. This is urgent because the planet is being destroyed while Trump is playing his games and kissing (at least) the ring of Putin. The Russians are winning the Cold War and it is rapidly getting as cold as Siberia everywhere on the planet. Trump does not seem to know the difference between weather and climate change at all. Climate change is the most urgent issue of Trump’s presidency as he turns our country and perhaps the planet over to Putin. There may be none of us left, women or men, Black or White, to rectify this situation if this goes on much longer. There may not even be a planet. 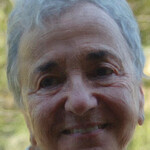 *Ellyn Kaschak‘s article was published in Wall Street International. Go to Original.